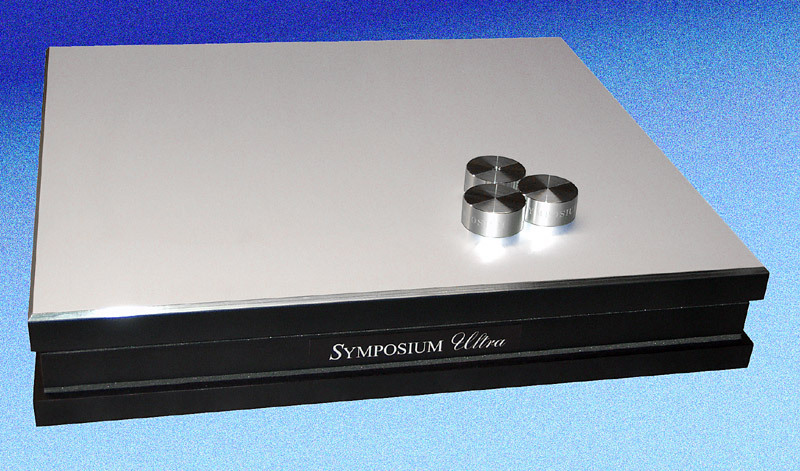 The Symposium Ultra Platform evolved from our first product, the Super Platform, and was created to push the performance limits for a solid equipment platform further than had previously been possible. Experiments and listening tests in many different types of systems indicated that those aspects of the Super which could directly benefit lay in the thickness of the foam center section (which serves as a "heat sink" that converts mechanical energy to heat) and in additional constrain-layering of the critical top aluminum layer. Ideal interface for Rollerblocks, cones, and all footer devices. Not for isolation of extremely low frequency footfall problems - see the Segue ISO Platform page for low frequency vertical wave isolation solutions.